Wake up to a view of the Arbuckle Mountains! This beautiful well kept 3 bed / 2 bath, brick home with new roof, granite counter tops and all new appliances is located on 10 acres and has plenty of room to play on your horse or your side-by-side. Lots of good grass and a beautiful pond. Large 4 car garage with a bonus room upstairs so you can customize your own get-a-way. This property has what you want to be able to get away and enjoy living, work on your projects, and breathe the fresh country air. 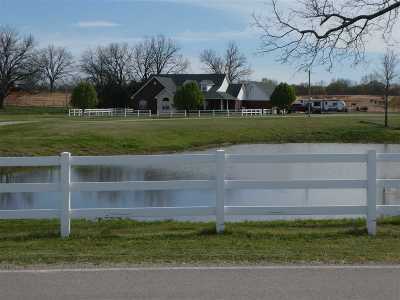 This property is located just a short distance from the Washita River and conveniently located near Hwy 177 and Hwy 199. Bring your boxes, it&apos;s move in ready! Make an appointment today for your showing.